Ladakh is mountaineers delight with several mountain ranges like Karakoram, Zanskar and Ladakh Ranges offering a wide range of options for expedition. 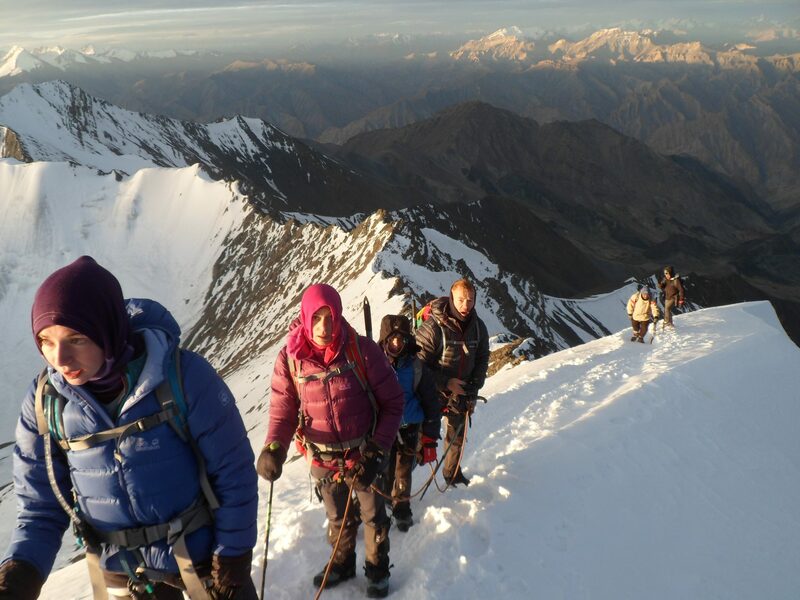 For years Zanskar Trek has successfully organized many such expeditions with innumerable groups by facilitating all the logistic requirements from permission, expert mountaineers to experienced porters. Note: Every expedition would require permission from the Indian Mountaineering Foundation situated in New Delhi. The IMF charges different fees for different peaks and provides a liaison officer who will accompany the climbing group to see that all goes according to schedule. The minimum period required for processing applications is six months and every authorized expedition is provided with adequate rescue coverage in the events of accidents and illness.